Bring your Boat and make this house Your Home! This Home is located in the Very Popular Lake Padgett Estates with access to 3 Ski Size Lakes, Several Parks, Horse Stable and Tennis Courts. 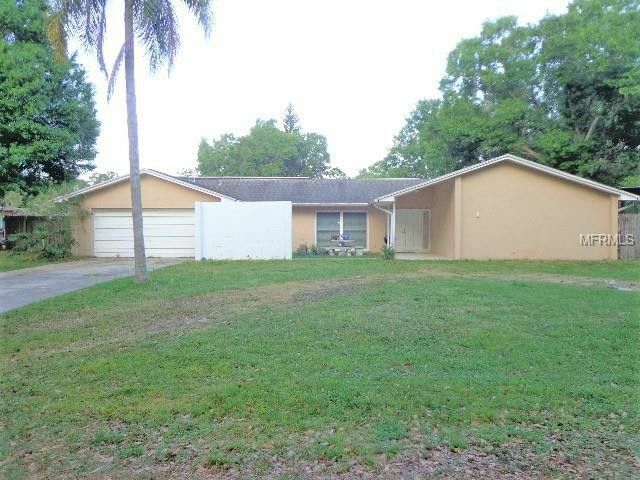 This Home features 3BR which are all nice size rooms plus 3 full Baths. Laminate and Tile Floors throughout, a Formal Living/Dining Room Combo as well as a nice size Family Room right off of the Kitchen which is great for Entertaining your guest! This Home also has Solar Panels that were installed in 2012 which helps lower you electric bill, Extra Insulation in the attic, Windows replaced in 2008, and a Newer Hot Water Heater! When you walk out on your back Lanai, you are going to be shocked when you see your HUGE Fenced in Backyard. This Home sits on almost a half acre lot on a nice Cul-De-Sac Street. Close to the Premium Outlet Mall, several Restaurants, County Park and Library. Don't wait on this one, it will not last long! Directions: From S.R. 54 to N. on Collier Parkway to Left on Weeks Blvd. to Bea Cr. to home! A Home Run in "REAL ESTATE"